This quality Kydex holster features CNC Quick Ship technology, CAD designed, and CNC cut for the perfect precision holster. Keroman V2 is the newest version of CNSs Glock light bearing appendix carry holster with many updated features. 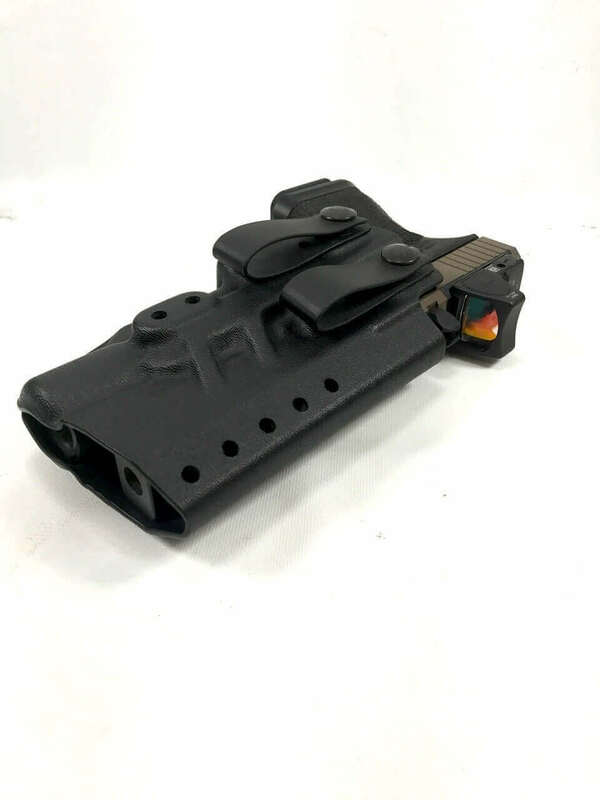 -Fits Glock 19/23/17/22/34/35 with Surefire X300U A or B or Stremlight TLR-1 and also accommodates most compensators for a Roland Special Build! -Cut for RMR clearance, and also for forward mounted rear sights that are in front of the rmr. -Integrated grip tuck feature commonly known as the “claw” is now a little larger and taller to help tuck the grip even more. -Integrated wedge on the backside of the holster. This replaces our foam wedge. It will never wear out, nor stick to any clothing and provides the same effects as the foam wedge. -New sight channel shape to accommodate the use of dual loop/strut or overhook clips and to create a more ergonomic shape to the holster. Great experience. Extremely fast shipping. Ordered in the evening on Monday and was wearing the holster Thursday. Great website, very easy to navigate. Good prices. Extremely fast shipping.